1.4.4 -Demonsrate a growing ability to represent experiences, thoughts, and ideas through a variety of age appropriate materials and visual art medium using memory, observation, and imagination. 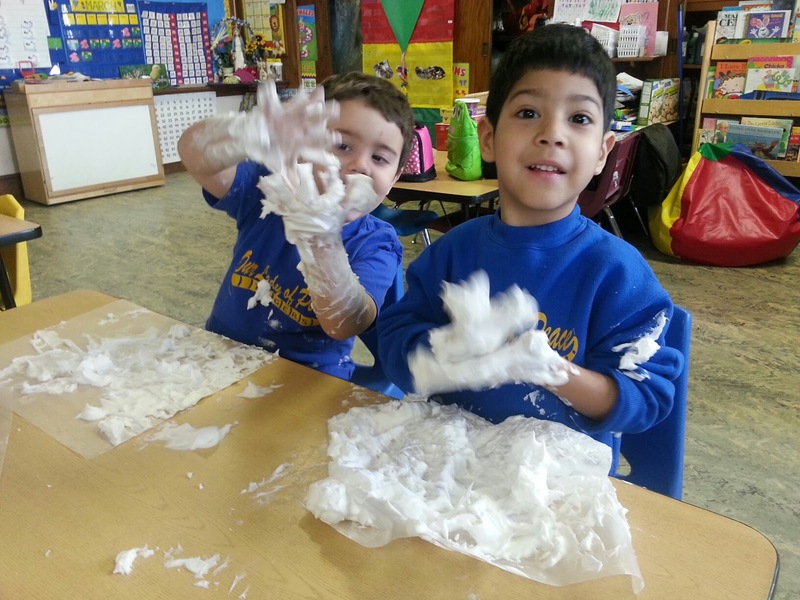 Students were told to imagine that the shaving cream was snow, and to try to build a snowman with it. 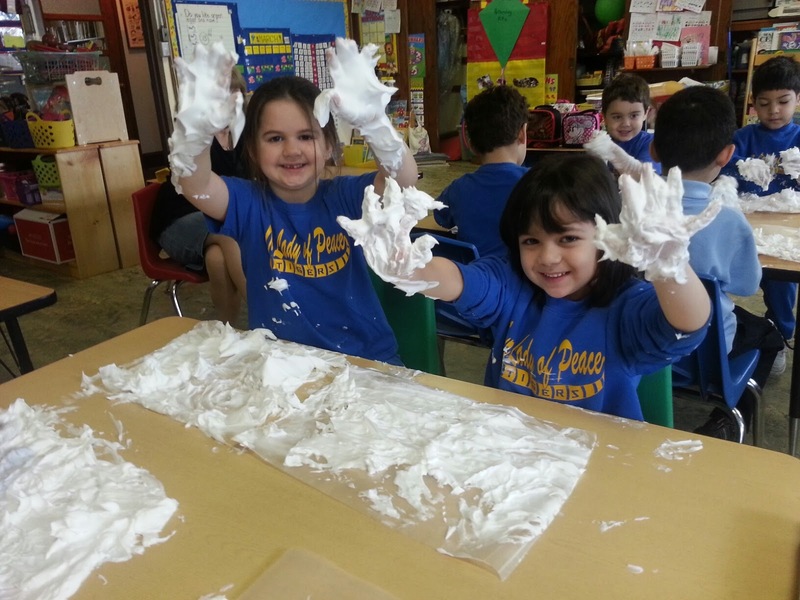 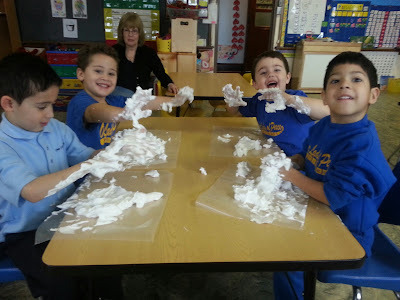 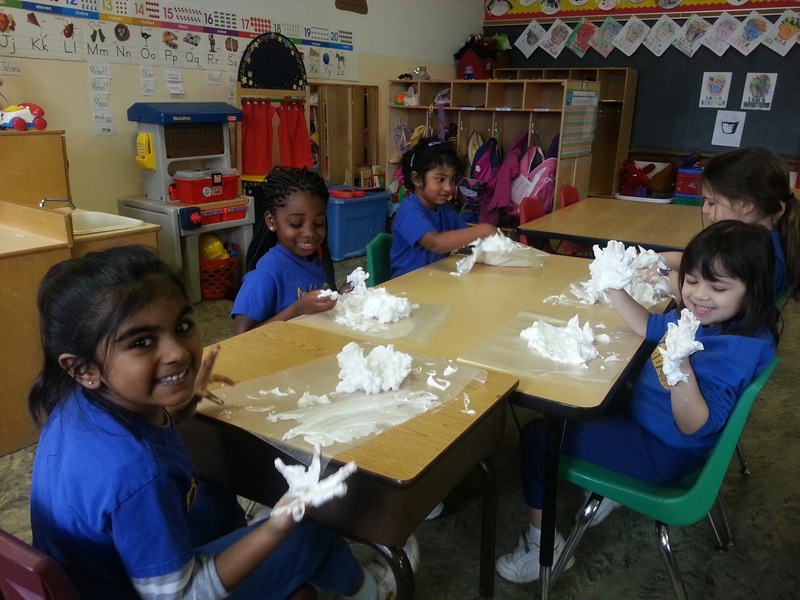 They had lots of fun just manipulating the shaving cream and not worrying about getting their hands dirty!